Advances in technology have made reusable rockets a reality. 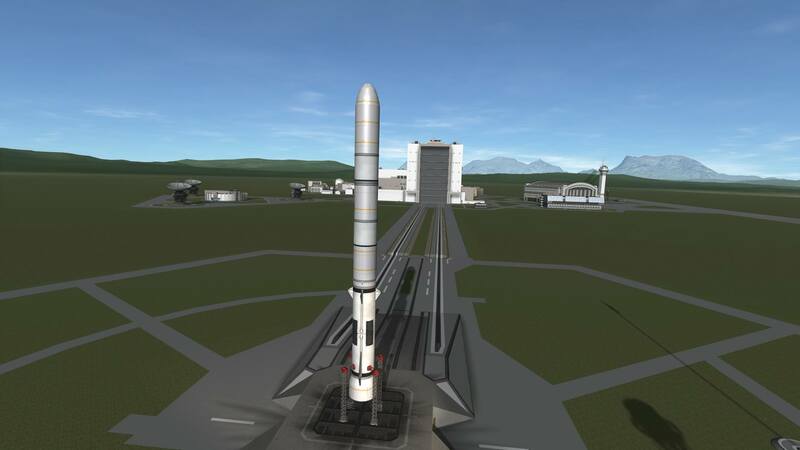 Blue Orgin’s “New Glenn” is their take on a reusable heavy-lift rocket. Standing at a staggering 86 meters (KSP version is 40), the New Glenn stands just a few meters shy of the legendary Saturn V rocket. It is planned to work in tandem with NASA missions to deliver supplies to the poles of the moon for future bases and exploration. While still under development, the Kerbal Space Program is proud to present a half-ish-scale functioning prototype to fly. May or may not be prone to rapid unplanned disassembly. Note: This is the “Full Scale” version with 3 stages. Has the potential to be far more explosive than the low part count variant. A stock rocket called Blue Orgin ‘New Glenn’ 3-Stage. Built with 117 of the finest parts, its root part is fairingSize3.